Many buildings such as healthcare facilities, school campuses, residential and office buildings, and industrial plants all have a great need for a two-way communication with a main office center in order to improve productivity and response times for daily activity and emergency situations. Whether you are designing a new building or improving the effectiveness of an existing communications or security system, Bay Telephone’s team of networking experts are available to perform an on-site assessment of your current system offering your organization the most cost-effective solution to meet your systems needs. Building Emergency calling. Immediate emergency assistance with strategic placement of intercom systems in parking garages, stairwells, emergency call stations. Patient to staff communication. Communicate using simple bedside noise-reduction call buttons and emergency pull cords, giving patients a direct and vital means to reach doctors and nursing staff. Staff to staff efficiency. Prevent costly misunderstandings by using interdepartmental communication and overhead paging. Multiple paging zones, call transfer, SMS Text Paging and conference-calling options provide a noise-reduction and convenient way to instantly locate and relay messages or instructions to staff without disturbing patients or clients. Broadcasting systems. 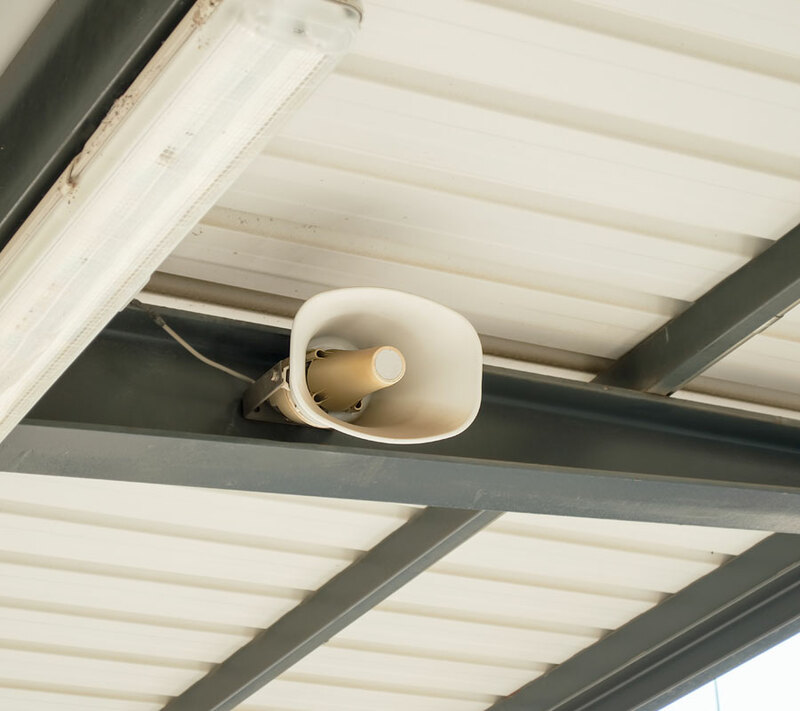 Wireless PA intercom systems help broadcast messages to an entire building/school or specific areas/rooms within the building. Bay Telephone’s skilled and certified technicians specialize in installation of new systems, repair of old intercoms, and maintenance, offering you the control that is needed in order to stay in constant communication.